After a number of years of frenetic activity in the financial modelling arena, now it's time to reflect and understand how significant investments in technology have helped or hindered the insurance industry. 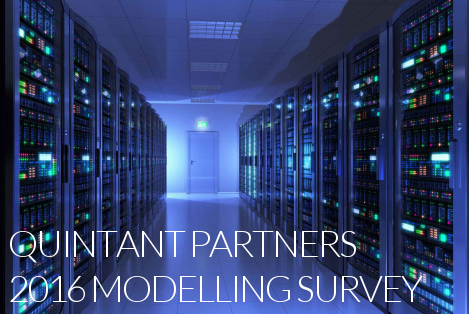 To take part in the Quintant Partners Financial Modelling Survey, the first industry-wide survey for 5 years, follow the link below. If youâ€™re in the area stop by and visit us in our new offices. 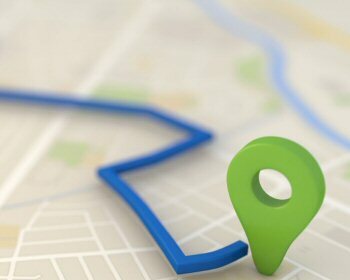 Weâ€™d love to show you around! Quintant PartnersÂ is a consulting firm working with insurance clients on the use and strategy of modelling tools and technology to support key business processes such as statutory economic capital calculations, external financial reporting and other capital, risk and financial metrics used to support management decisions. The companyÂ was started by Adam Tyrer who has over 20 years experience advising insurers across the globe, in particular in areas of strategy and modelling capabilities. He has a proven track record in the strategic development of consulting and software businesses and delivering services in that space. We are passionate about ensuring that companies are leveraging their investment in technology and have a clear picture of how they can gain commercial advantage from that investment. 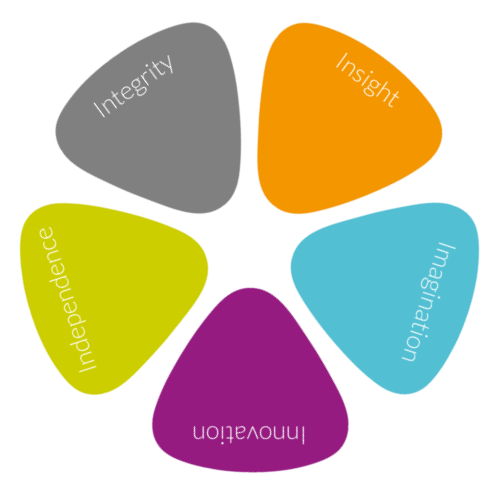 Quintant PartnersÂ is founded on a robust set of principles. 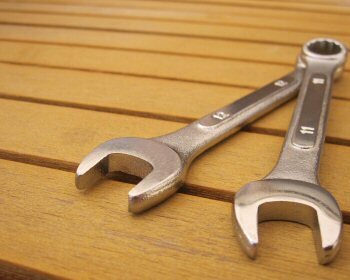 These are inherent in everything we do. Quintant Partners offers a range of services to insurance companies, technology providers, and other players in the insurance and risk environments. Whether you're about to undertake a major programme of strategic change or something more tactical, we tailor our services to provide you with access to unparalleled experience and credentials. 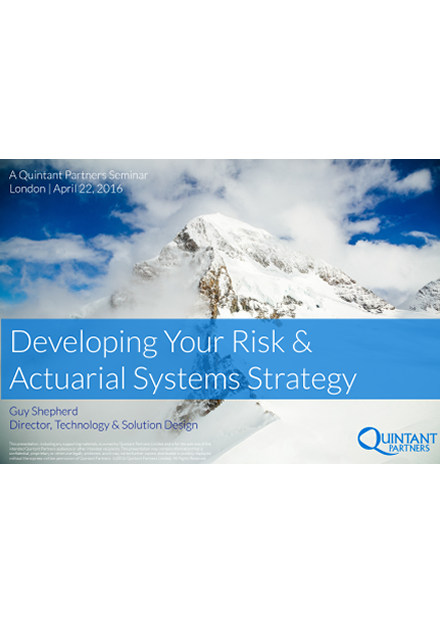 A company's actuarial or risk technology strategy should be at the heart of any major programme of change. Our strategy and planning services help CIOs, actuarial and risk directors align the IT and business visions to reduce risk and maximise productivity. In today's highly competitive insurance market, organisations are seeking ways to use modelling, data and analytics to better support the strategic goals of the business at large. We offer a number of services to help improve agility, reduce costs & simplify processes, and leverage existing investments & assets to gain competitive advantage in the marketplace. 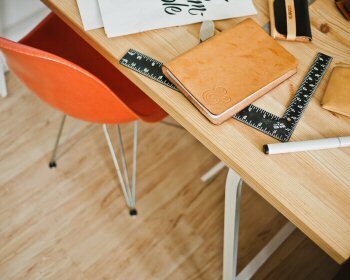 Finding appropriately experienced and credentialed resources to help develop your solutions can be a challenge, especially where your requirements demand new thinking. Quintant Partners is fortunate enough to have some of the most experienced insurance and risk technology personalities on board to help you achieve your goals in the most efficient and effective way. Insurance organisations are continuously seeking any opportunity to differentiate themselves in the marketplace. The Quintant Partners business intelligence, analytics and data management offerings can help you design & embed intelligence and analytics into the heart of risk, finance and actuarial operations. We offer a range of services that aim to improve the processes and procedures that support key actuarial and risk system operations. These engagements provide advice, tools and capability to enable clients to significantly improve the stability and efficiency of key technology assets and associated processes. With financial models now providing business critical insight and analysis to many insurance organisation processes, so the governance and control of such systems is now paramount. We aim to provide clients with the services, support and solutions to manage & control their existing actuarial & risk management technology environments. Our events are designed to provide you with a unique and differentiating perspective on all aspects of risk and insurance technology. Details and registration information for all our upcoming events are provided below. Our annual financial modelling & technology conference is the must-attend event for anyone involved in the design, development and use of any component of the actuarial / risk technology enterprise. To be notifed of our future events, please click below. 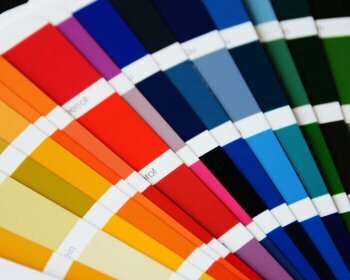 We firmly believe that all clients are different and deserve a bespoke service. Take a look at some of our latest projects and case studies below. Quintant Partners publications, thought leadership, toolkits and presentations provide you with the insight you need when you need it. Take a look at our gallery of recent papers & presentations to see what we've been thinking about. As insurance organisations begin to understand the real risks and implications of their end-user computing estate, so many will start to consider alternative, better controlled and perhaps more appropriate technology solutions. 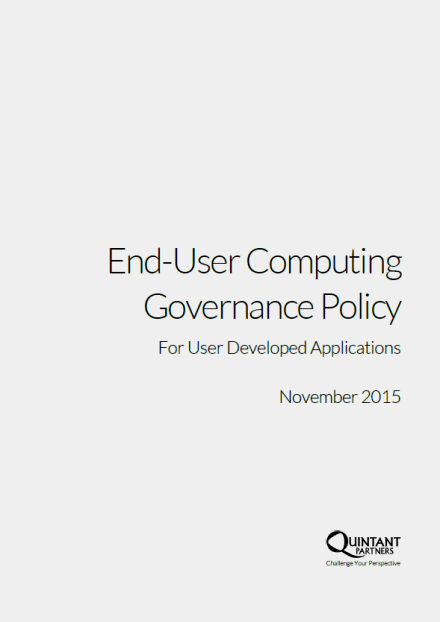 This policy outlines the key principles & guidelines for the development, use & governance of all user developed applications associated with the ongoing business operation. End-user developed applications now form an integral part of the information management and decision making framework of many organisations across different industry sectors. 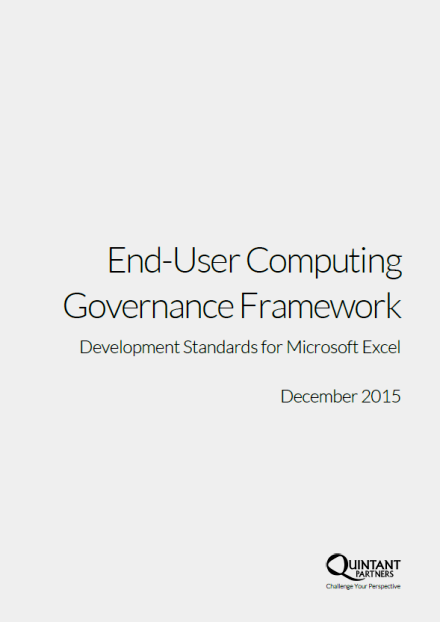 This document provides a comprehensive set of standards for the development of Excel-based end-user computing solutions, to ensure that any solution is appropriately controlled and robust. 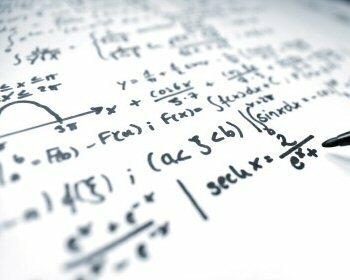 The Quintant Partners Actuarial Systems Strategy Development Toolkit will allow you to develop a well-structured, coherent and relevant actuarial systems strategy in line with the current and emerging needs of the business, and considering the opportunities afforded by new technology trends. 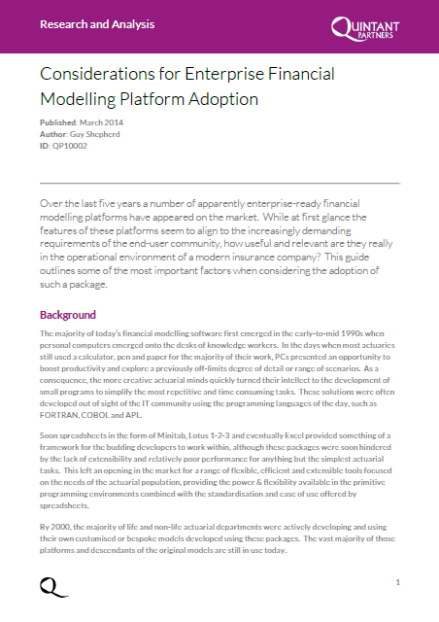 Selecting a financial modelling platform is likely to be a decision that most insurers will only face once during the lifetime of a given business. This means that making the most appropriate selection decision for both the current and future anticipated needs of that business is absolutely critical. Over the last five years a number of apparently enterprise-ready financial modelling platforms have appeared on the market. 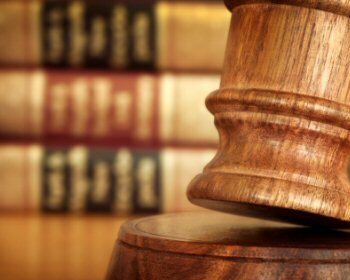 This guide outlines some of the most important factors when considering the adoption of such a package. 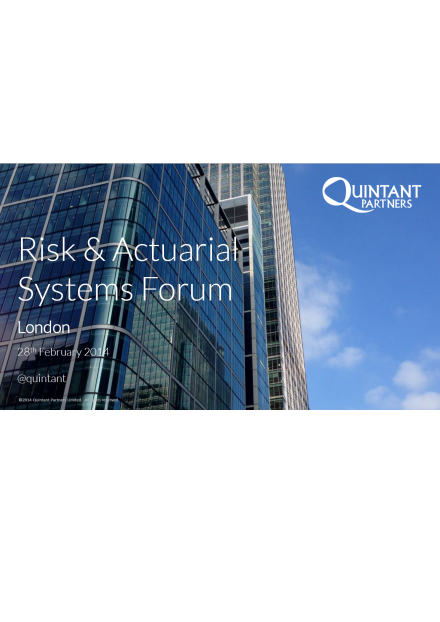 This presentation is from the 2014 Quintant Partners Risk and Actuarial Forum. The one-day event focused on the challenges and opportunities associated with all aspects of actuarial systems, and provided an opportunity for those interested in the evolving world of actuarial & risk modelling platforms and associated systems, to share ideas & discuss challenges with others. The Risk & Actuarial Systems Strategy Development seminar was the first event in our series of seminars and explored the elements and drivers of a successful risk and actuarial systems strategy. 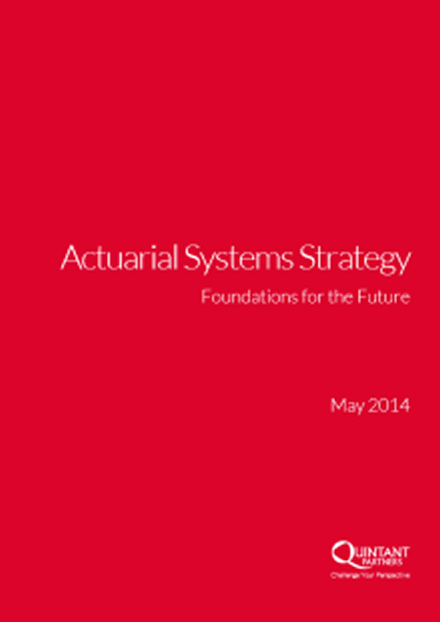 The half-day event dived into the framework behind our Actuarial Systems Toolkit and provided a wider understanding of the fundamentals of a successful strategy document. 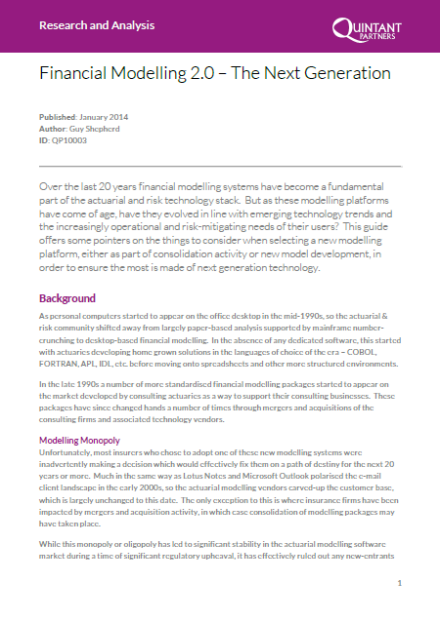 Over the last 20 years financial modelling systems have become a fundamental part of the actuarial and risk technology stack. 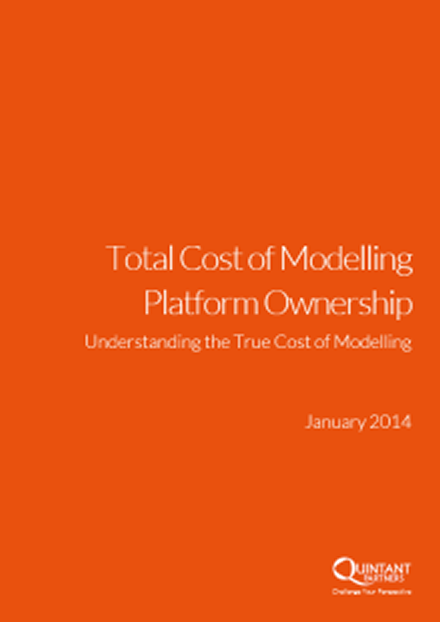 But as these modelling platforms have come of age, have they evolved in line with emerging technology trends and the increasingly operational and risk mitigating needs of their users? 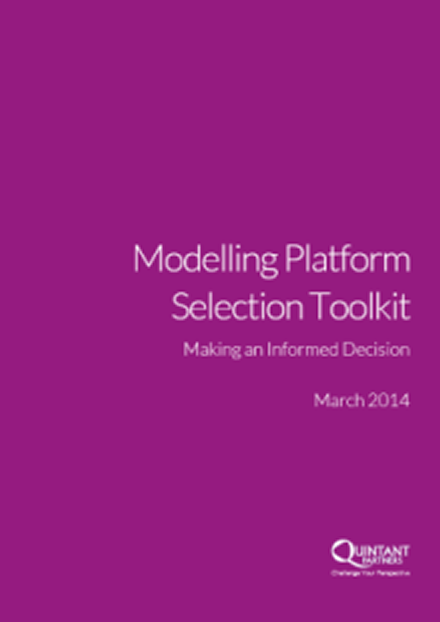 This guide offers some pointers on the things to consider when selecting a new modelling platform. 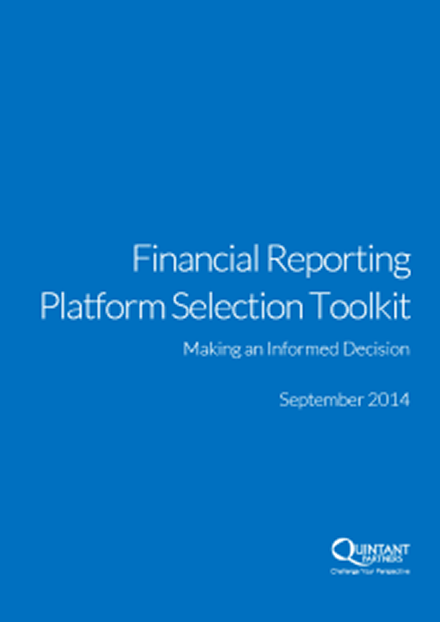 This toolkit is designed to help those responsible for financial modelling understand the true direct and indirect costs associated with their existing environments, either to provide a basis for future investment or indeed as part of any consideration regarding re-platforming or mergers and acquisitions. Much is currently being made about the so-called disruptive technology trends emerging around us and how these changes are likely to be even more fundamental to businesses than dawn of client-server computing in the 1980s. 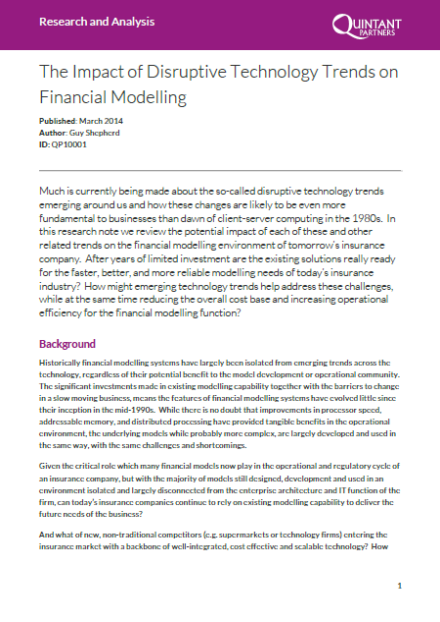 In this research note we review the potential impact of each of these and other related trends on the financial modelling environment of tomorrowâ€™s insurance company. The IIAG is focused on assisting internal auditors and related risk and compliance practitioners to develop their profession and practices. 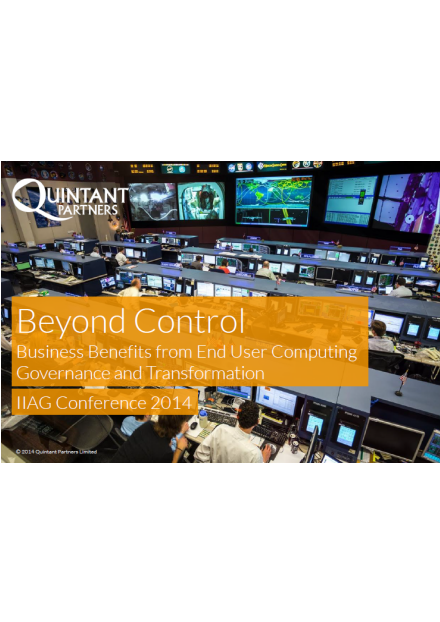 This presentation is from the 2014 IIAG Conference and explores the benefits beyond control - unlocking tangible end-user benefits from enterprise spreadsheet management. Our team includes highly experienced and recognisable personalities from the work of insurance and risk technology, with a track record of delivery and visionary thought leadership. 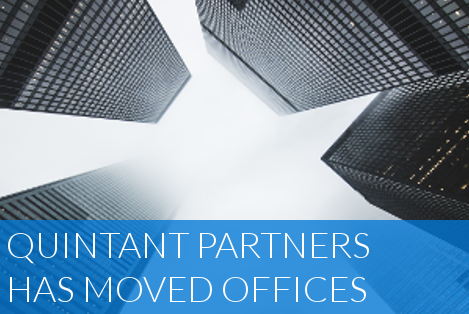 As well as consultants who come from a range of backgrounds in order to provide a different perspective to our client's challenges and opportunities. 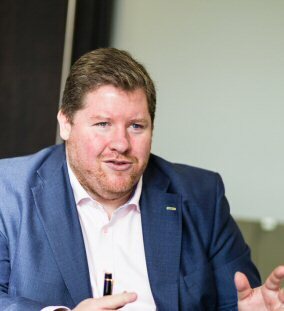 With 25 years experience working with, and advising insurance companies across the world, Adam has a proven track record in successfully delivering major risk, actuarial and change programmes in the insurance sector with a focus on the use of technology to support risk and actuarial reporting, economic and statutory capital requirements. Adam's mix of technical depth and programme delivery experience means that he is uniquely able to provide clarity, robust challenge, pragmatic delivery and strong leadership on complex change programmes in this space. He founded Quintant Partners, to work with insurers on developing their strategy for using financial models to improve their reporting and capital calculation processes and to work with the vendors on developing their propositions to insurers. Prior to founding Quintant, Adam was a director based jointly in PwC's London and Amsterdam offices leading PwC's global actuarial financial modelling practice and was chairman of PwC's European Actuarial Leadership Team where he had responsibility for the strategic development of the actuarial business across Europe, the Middle East and Africa. He was the author of the widely quoted PwC reports on the use of actuarial models in the insurance industry, 'Weapons of Mass Computation', 'Brave New World' and 'Delivering your Model Expectations'. 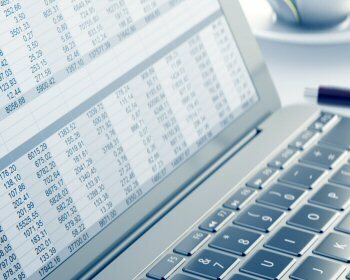 Adam also regularly chairs industry roundtable meetings on financial modelling. Prior to joining PwC, Adam was Senior Vice President and General Manager of Tillinghast Software Solutions, where he was responsible for the development and sales of the MoSes modelling package. Bryoni is a highly experienced analyst and project manager, detail orientated with strong analytical and organisational skills. 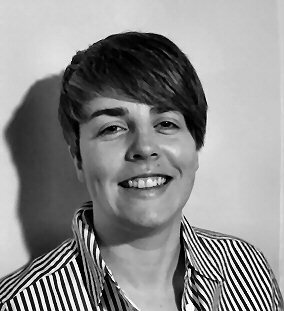 She has over 10 years of successful delivery experience managing projects to meet challenging deadlines and objectives including design/delivery of IT solutions to business problems. Bryoni joined Quintant Partners in January 2014 from PwC where she was the account manager for two of PwC's Global Priority accounts and responsible for driving PwC's data analytics proposition pulling together staff from across PwC's diverse practice areas. She also developed an opportunity management 'triage' system to ensure PwC brought the whole firm's skills to respond to proposals. 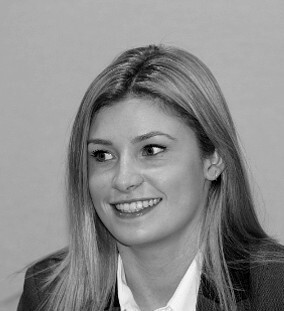 Since joining Quintant Partners, she has worked with a major UK-based multinational insurance group managing key aspects of their Internal Model Application delivery including preparation of the SAT/CAT (regulatory application templates) and management of evidence delivery and tracking of remediation of identified deficiencies in the model. In this role, Bryoni has managed the design and delivery of the client's SharePoint solution to facilitate delivery of the Internal Model application and demonstrate regulatory compliance. Most recently Bryoni has worked with a Lloyds Syndicate to identify issues surrounding the current approach to qualitative reporting / evidence provision. In doing so she developed functional / non-functional requirements of the technology solution, the target state qualitative reporting process and a short list of technology platform options required to provide a fit-for-purpose evidence management system. Abbey graduated in 2013 from the University of East Anglia with a degree in Business Management and as well as her work with Quintant, has over six years of customer service experience working within the sport and leisure industry and brings the same energy and enthusiasm to insurance and technology consulting. Since Joining Quintant Partners in February 2014, Abbey has developed advanced knowledge and skills in a range of business functions, providing her with a solid foundation in key management disciplines. Demonstrated through project work including reports and presentations, Abbey delivers with a high attention to detail by being well organised and managing her time efficiently. During her time with Quintant, Abbey has worked with a financial modelling platform vendor to help develop their future roadmap. 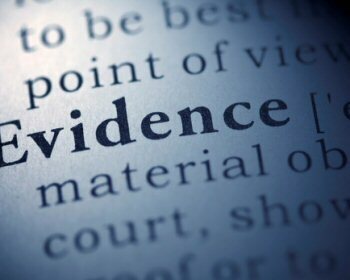 She has also worked with a Lloyds Syndicate to help identify key risks and issues surrounding the current approach to evidence / document management. Abbey has also provided support to one of the leading providers of mobile device protection in Europe to develop a practical end-user computing policy, validating the emerging policy, controls frameworks and reporting with key stakeholders. For over 14 months she worked on a project with a major UK-based multinational insurance group supporting the development and population of an evidence management system for Solvency II. This role has drawn heavily on her strong business analysis and organisational skills, and has demonstrated significant attention to detail. She has also shown significant tenacity working with a range of customers and volatile requirements. If you'd like to stay informed of Quintant Partners news, events and publications, please subscribe to our newsletter below. Alternatively, if you're in the neighbourhood, please drop by for a coffee and a chat. Failing that, you can always give us a call or drop us an e-mail. 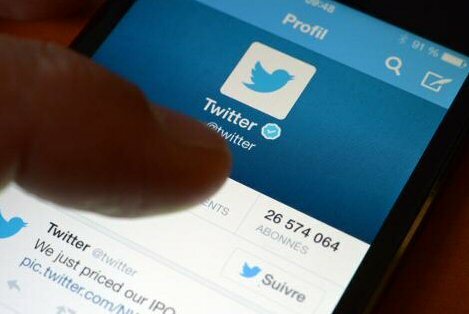 Please note: We will never sell or share your email address to any third parties. We value your privacy (we hate spam as much as you do).